Leap Frog Dora the Explorer: Animal Rescuer. I do my best to describe each item including their flaws. If you don't see it pictured, it ISN'T INCLUDED! Consider Yourself Covered. Vtech InnoTab. Pre-K thru 1st. Ages: 4-7 years. Dora and Boots' voices guide your child through learning activities involving letters, phonics, beginning Spanish and more. 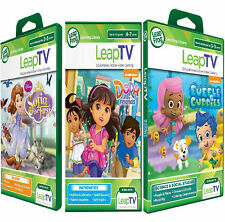 This VTech V. Reader animated e-book system includes twenty pages of storybook fun with Dora, Boots, and Swiper. Whizware for Vtech Whiz Kid Learning System. 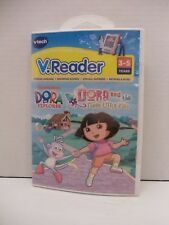 Story Reader Video Plus, Dora The Explorer Bouncy Ball Adventure, Preowned. This sale is Dora Explorer Bouncy Ball Adventure book only. 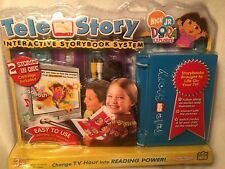 Story Reader Video Plus Book - Dora the Explorer Bouncy Ball Adventure. Preowned but new in sealed package. Some wear to package but contents are in good condition. For Mobigo and Mobigo 2. 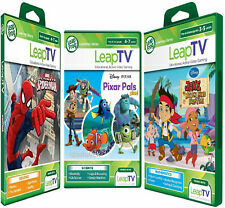 (3) Switch modes & let your child do the reading. The plastic box is sealed, but the bottom left corner of the box has been crushed. It has nothing to do to effect the system. 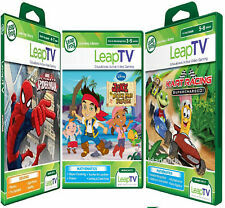 Storybooks brought to life on your TV. New FISHER PRICE LEARN THROUGH MUSIC TOUCH PAD, all pictures shown from actual item you'll receive! Beginning Addition is learned as the children catch and count mud balls.Relative Speed is experienced as the children pedal to race against an Apatosaurus, T-Rex or an Einiosaurus! Hand, Eye and body coordination are exercised as they group dinosaurs and jump, stomp and celebrate! The iXL Learning System is even more fun with the iXL Dora the Explorer 3D software. iXL Learning System. 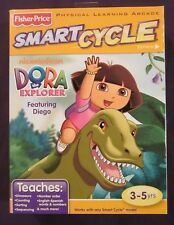 Fisher-Price Dora the Explorer 3D. Makes learning fun and engaging. Kids can learn about math, logic, spelling and foreign language (Spanish). New in Box! Dora The Explorer. Ages 3 - 5 Years. This will also make a very nice gift. Up to 4 lbs. This is base unit set that plugs into your TV. These are great reading and learning systems. You and your child will love this. , in good used condition. I looked at the trending prices on sold books to decide on an asking price. (I have found people want to be able to piece together their own lots as opposed to having them pre-set. ). 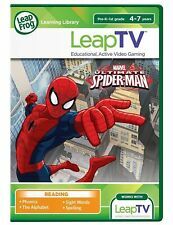 For use with V.Reader interactive E- reading system. Teaches: foreign language, beginning sounds, ordinal numbers, rhyming & more. Great learning tool. Leapster games only Ratatouille. Pre-K- 1st Grade Ages 4-7. Leapster games only Ratatouille. Pre-K- 1st Grade Ages 4-7. The game is in very good condition. Please see pictures. I am not a dealer nor an expert and I do my best to describe each item I list. All items are sold "as is", so please look closely at all pictures and ask any questions thank you might have before bidding. You for looking. For items being shipped Internationally, buyer will be responsible for any and all custom fees and taxes. Items will only be shipped through the global shipping program. All buyer will be responsible for paying for the cost of shipping insurance if requested. Style: Interac TV. is 6.5 % and 6% in other Fl. Dora's Fix-it Adventure is a fun way to help your children with learning about colors, numbers, spatial skills and problem solving.